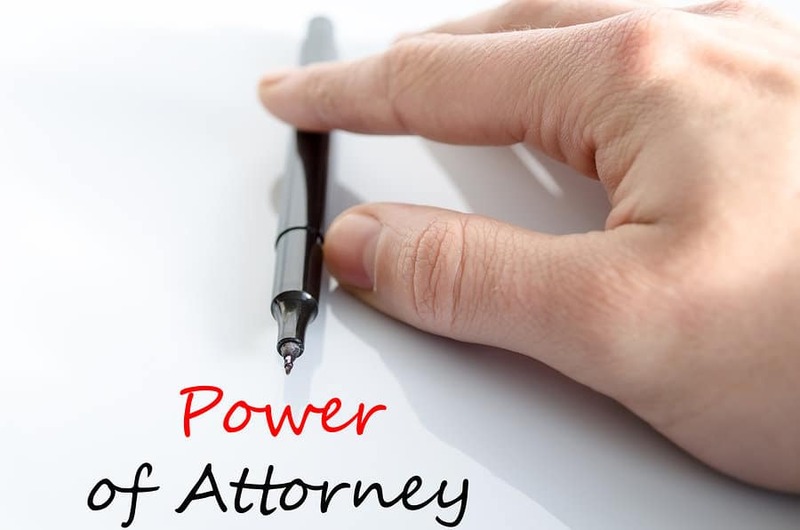 Do I Need a Financial Durable Power of Attorney and What Does it Do? Do I Need a Financial Durable Power of Attorney? Financial Durable Powers of Attorney, Why You Should Get one? Financial Durable Powers of Attorney are a very important part of an estate plan. First of all, most Financial Durable Powers of Attorney are durable. “Durable” doesn’t have anything to do with the strength of the document. “Durable” means that if you are mentally competent when you sign the document, and later you are mentally fruit loops, your incapacity does not invalidate the Power of Attorney. In my past post “The Importance of Putting Together an Estate Plan“, I laid out important points to consider why there is a need for estate planning to put things in-order which includes Power of attorney. Financial Durable Powers of Attorney name someone to make financial decisions for you if certain conditions exist. The person named to make decisions for you is called your agent. What is that agent’s job? Michelle can only use your assets for your benefit. She cannot use your assets for her benefit at all. Michelle needs to keep excellent records of everything she does with your finances. If Michelle messes around with your finances, she could be held civilly and criminally liable. Michelle can’t make stupid investments. Everything she does has to be “reasonable”, which is a fairly conservative standard. Digital assets—your online accounts, social media, online banking, etc. Pay for your medical care. What factors should you have considered when choosing Michelle as your agent? Is she reasonably financially savvy? Does Michelle tend to share your values re: finances? Does Michelle get overwhelmed easily—taking care of your finances has the potential to be overwhelming at times. If Michelle will be helping to take care of your spouse and children while you are incapacitated, does she have a good relationship with them? If you want to spread the job responsibilities, you can name Michelle together with someone else, let’s say Jim. You would then say that Michelle and Jim will be agents. You can choose whether Michelle and Jim need to make all decisions together or whether they can act independently of one another. Being someone’s agent is a major job. As your agent, Michelle is entitled to compensation at an hourly rate. You can also reimburse her for all out of pocket expenses incurred because Michelle is taking care of your finances. Financial Durable Powers of Attorney come in 2 flavors: they kick in immediately when you sign them OR they kick in only if you are incapacitated. Let’s talk about people who sign Financial Durable Powers of Attorney that go into effect immediately when they are signed. For example, there is Rose. She is 85 and a widow. Her daughter, Michelle, helps her with all of her finances. They pay bills together each month and Rose puts Michelle on the phone often to handle her bank and investment accounts. Michelle wants to sign a Financial Durable Power of Attorney that gives Michelle authority to make all financial decisions for Rose as soon as it is signed. Michelle would then have authority to handle finances without Rose being present, either in person or on the phone. Michelle would be Rose’s agent. Again, let’s look at Rose. Rose is still 85 and a widow, but wants to continue handling her finances. She is sharp as a tack. She does not want Michelle to have authority to take over her finances until Rose is incapacitated. Incapacity is often defined as Rose’s agent, Michelle, and at least one (1) doctor who has or is treating her, concluding that Rose lacks sufficient capacity, for any reason, to make or communicate decisions about her finances. This incapacity should be reviewed frequently. Rose surely would not want control of her finances taken away from her legitimately, but then not given back when she can handle making decisions again. What happens if you don’t have a Financial Durable Power of Attorney? Someone needs to go to court to be appointed as conservator for you. A conservator is a court-appointed agent. A conservatorship requires a court hearing and worst of all, requires the conservator to file an annual accounting with the court accountant and the Judge. The court accountant goes over those accountings with an incredibly fine tooth comb. It is a lot of work to impose on anyone you care about.